With more than thirty years of multi-faceted business development experience, Daniel Binswanger is an entrepreneur with a strong business sense and passion for working with people. Daniel uses his demonstrated negotiation skills, vast network of connections and commitment to service to help clients achieve their goals in each transaction. 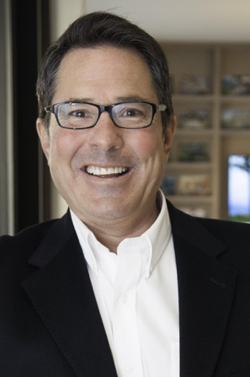 His professional background includes fifteen years in commercial property management and the facilitation of record-breaking construction projects including the Venetian Hotel in Las Vegas, The Marquee Plaza and the 241 Corridor. While traveling through Sequim, Washington in 2009, Daniel was reminded of his hometown of Newport Beach, California and the Rocky Mountains of Colorado. He loved the small-town feel of Sequim and the grandeur of the Olympic Mountains. Ready for a change from the hustle and bustle of California, he moved his family to Sequim in 2010. Since living there, he and his family have enjoyed the strong sense of community and have appreciated opportunities to engage in rural life, including having horses outside of the children’s bedroom windows and raising steer, hogs and chickens. Daniel joined iRealty because of the incredible business model which puts clients at the center of everything we do, and Daniel was attracted to the values of iRealty–honesty, integrity, professionalism, and a positive outlook which translates into wonderful working relationships. Daniel looks forward to sharing the majestic beauty of the Olympic Peninsula and his local knowledge of this area with his clients, and to demonstrating his boundless energy, optimism, and expertise to provide an unparalleled concierge-level of care. “I am very impressed with Daniel Binswanger. You won’t find anyone more committed to doing an absolutely fantastic job for you, whether you are a buyer or seller, and I am so pleased he chose to join iRealty,” said Chuck Marunde. You’ll find Daniel’s MLS site at Sequim-MLS.com.